For the First time, a Ship has been sailed in the ocean which length is more than the height of the Empire State Building . This Ship is named as Prillud. It has been Sailed in the Sea in the South Korea. The Completely ready Ship weighs almost 6 Lakh ton. The owner of the ship Shell , manufacturer of Petroleum and Energy Chemicals is saying that this ship will be used in the production of Natural gas by the year 2017. 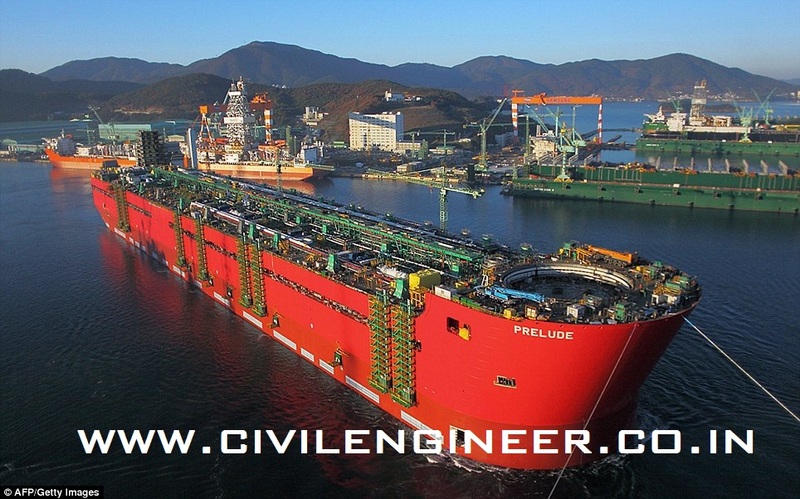 The main double-hulled structure was built by the Technip Samsung Consortium in the Samsung Heavy Industries, Geoje shipyard in South Korea. Construction was “officially” said to have started when the first metal was cut for the substructure in October 2012. The turret mooring system and other equipment such as wells are being constructed in other places around the world. It was launched in December 2013.